Have you heard of the Pikolinos Maasai Project? I had vaguely remembered reading about it a while ago. I follow Olivia Palermo fashion-wise, I remember seeing her wearing very strikingly beautiful African statement necklaces. And I came across some links regarding the project she was working on, which is this. The object of the Maasai Project is simple: to draw attention to a unique culture and its values, which are deeply rooted in family and nature, to promote the importance of the Maasai Mara, and to offer hope for a sustainable future." 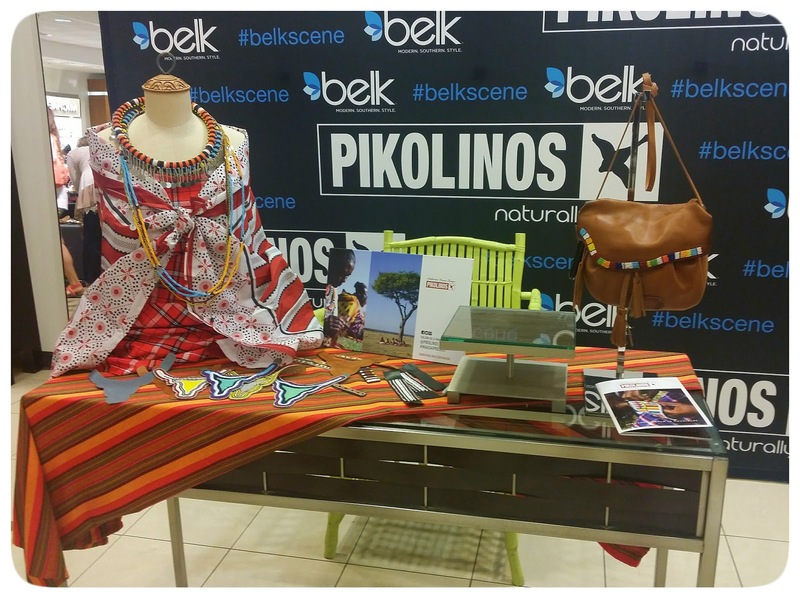 Belk has an awesome relationship with Pikolinos Shoes who have partnered with the Maasai Tribe in Southern Kenya and Northern Tanzania. Meet William Kikanae, Leader of the Maasai Tribe. Yes, I got to meet a real African Chief, and practically gushed like a fan girl. We got to chat for a moment, and I asked him first, how he became the chief. He explained to me that even as a child, when out with his peers -- they would always put him in charge. He said he was always selected as the team leader. And it spread over into adulthood. He said that his community recognized that he had good leadership skills and a good heart and made him the chief. He believes that women are equal to men. That they they should have the ability to earn an income in order to care for themselves and their families. He is also the project leader of this collaboration. His wife Lilian Ole Pere is the project coordinator in Kenya. She also advises the women and helps them manage their money. 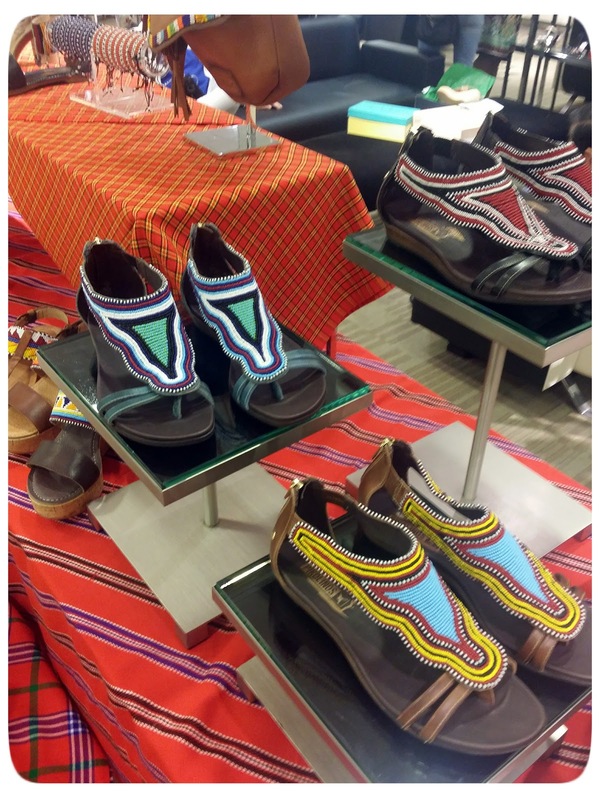 Each sandal tells a story of the Maasai women, their families, their hardship and their determination to get ahead. More than 1,000 women participate in the Maasai Project earning a stable salary – something that up until now had been reserved exclusively for the men. But most importantly, the work they are doing allows them to preserve their culture and lifestyle, and as a result of the income they receive, more than 1,000 Maasai families can access basic needs such as education, food, and medicine. This collaboration is empowering and employing women and providing the means to create and fund a school for the over 150 Maasai children enrolled. Over 1600 Maasai families have fair wages and a stable income. 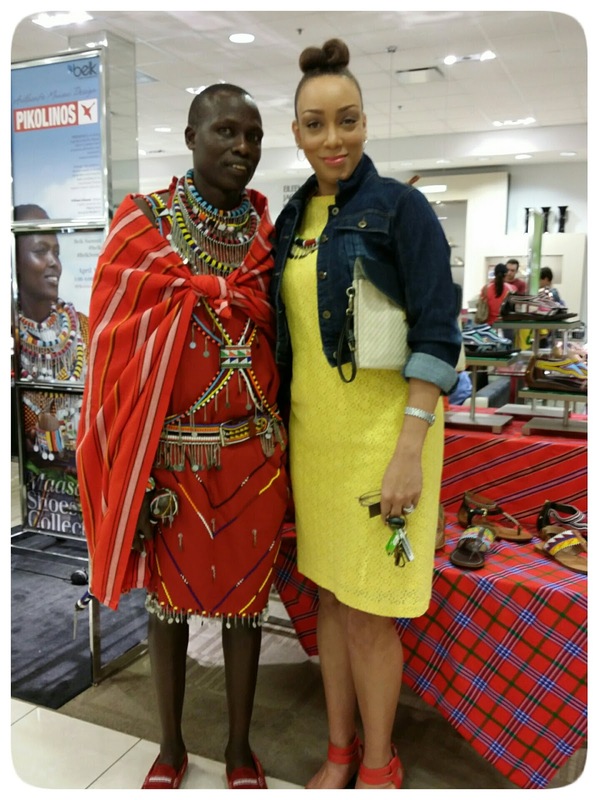 The Pikolinos Maasai Project has proven that fashion is more than frivolity. It's a "vision of hopes and dreams that tells stories and builds a better future, a sustainable future." 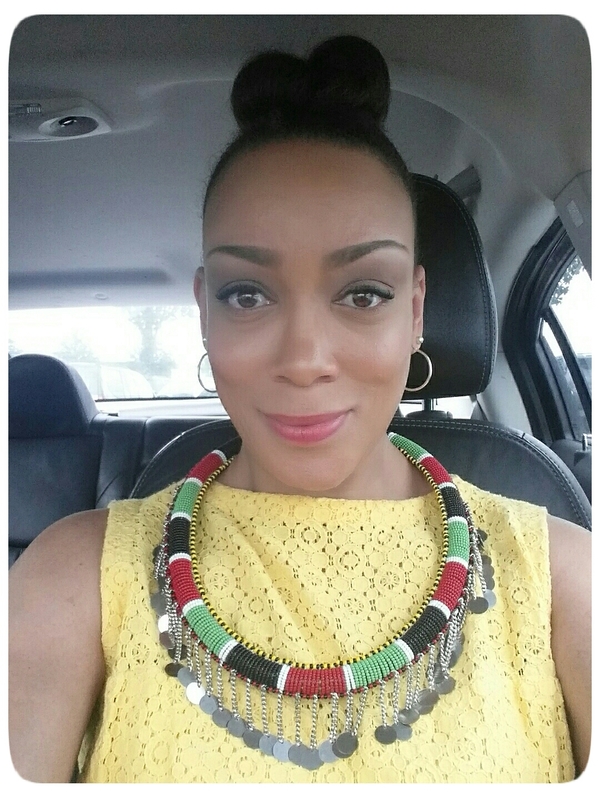 And here is a close up of my gorgeous Maasai necklace that was gifted to me from Belk and Pikolinos. Oh Erica! This is a project close to my heart. I am so glad you were blessed to meet a true African chief. Yes, the beauty of the necklace compliments both your inner and outer beauty. May it bring you many years of pleasure. Thank you Angela. The necklace and the experience will both be treasured. I love this post. The Maasai beadwork is beautiful. This is so fantastic--and I love how it continues the long tradition of women achieving economic independence through clothing and textile work. I love that they sit out in nature, with one another and sing and sew. It is a beautiful tradition. Thank you Erica for an inspiring message! The bead-work shown on the sandals is very unique and beautiful. What an awesome looking necklace that you were gifted. Wear it in pride! I'm loving that necklace!! I know you are going to rock it proudly. This is so cool that you got to meet the Chief. I really like those sandals and the beautiful bead work. I'm going to see if I can gift myself with a pair before the end of Summer. I want a pair too. I love the ones with the beaded ankle cuff. Erica I was so interested to read your post. My daughter has handled similar to the ankle strap beaded ones and I have some beaded shoes. 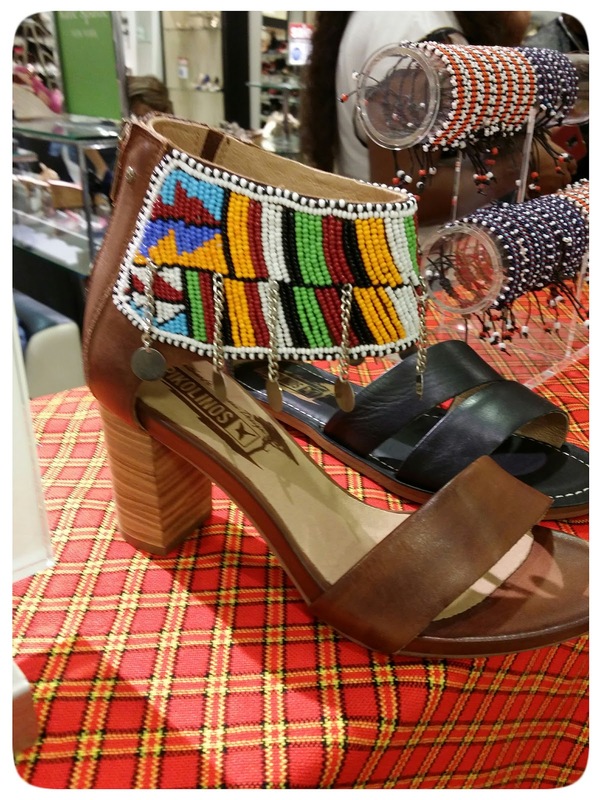 Each year we go to the Pikolino factory outlet to buy shoes and usually buy some of the Massai beaded ones. The Massai are such lovely people and the women are so elegant. My husband and I went to the Massai Mara on safari and met some of the Massai; there are 42 different tribes in Kenya. The reason why there is unrest there at times. My last memory was of taking off in our little plane , seeing a Massai farmer tending to his cows and waving to him. He waved back. I really want to go back. That sounds so amazing. A safari is most definitely on my bucket list! Thanks for commenting! That is a beautiful piece! Thank you for sharing this!